Would you help this handsome gentleman to put his boat on the water? You have doubts about him? How about adding that he works for a crisis hotline, talking to callers with emotional and relationship problems, even with suicidal thoughts and he is one of the best employees, due to being very sensitive and compassionate. Would you seriously reject to help this model citizen, especially when his arm is in a sling due to an injury? Janice Anne Ott didn't reject him. She should have. 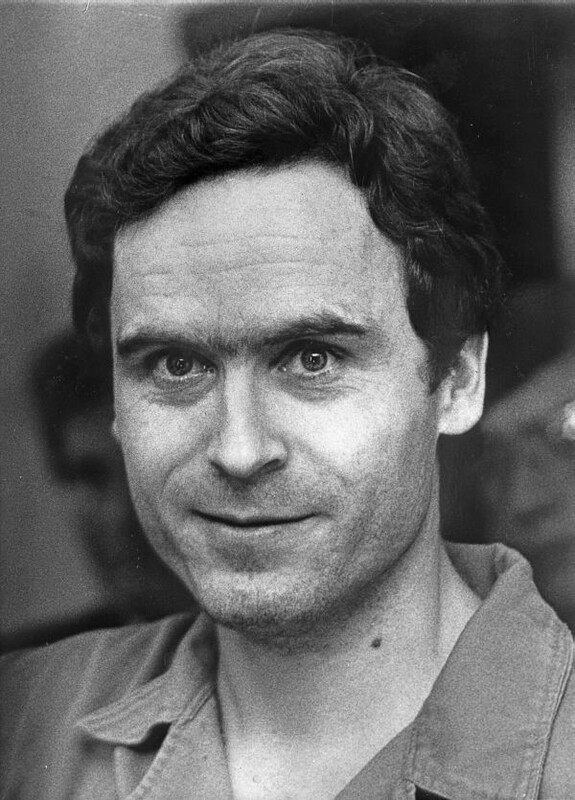 This man was Ted Bundy, a psychopathic serial killer, who kidnapped her, then kidnapped another young woman because he wanted audience for the act of killing her. They were among the at least 30 people he killed. How did he come up with the crisis hotline story? He didn't. He came to my mind when Tegiminis, a Goon propagandist assigned to troll my blog wrote: "Nobody accomplishes something alone. If anything, social behavior is the only rational behavior. You talk of people who made the big difference in society as being asocial, but those people only wielded power because of social links with other humans... You are asocial. The Mittani is very much social. Which of you wields more influence?" He purposefully mixes two things that are honestly mixed by socials: being social and having social skills. The funniest member of the Bundy family had much higher social skills than most of the people. I mean working on a crisis hotline is probably the hardest social task existing. OK, maybe being a child entertainer like Pogo the Clown needs similar amount of emotional sensitivity. Caring for sick children in hospitals is also known to be very stressing emotionally. Having social skills means the ability to understand and manipulate the feelings of others. On the other hand being social is valuing social interactions and the feelings coming from this interactions. Ted Bundy wasn't social at all, his victims were. He understood how their brain works and could create artificial interactions where they felt positively and were drawn to Ted like moths to the flame. As the old saying says: being anti-social is considering people objects, being social is being one of those objects. I've never said that social skills are useless or not needed. But mixing them with being social is a dumb mistake at best. For some unlucky people, it's the last mistake of their life. Model socials use their social skills honestly: they convey the emotions they feel. Of course even socials learn to use social manipulation, as it's considered bad to convey negative emotions. The children are taught to show gratitude for the bad gift given to them by relatives. Some people get this into the next level and become salesmen, politicians, journalists and such legal manipulators who trade positive interactions for money. And some people don't have to learn to disconnect their social interactions from their feelings as they have none: the psychopaths. Having social skills is being able to produce positive human interactions and emotions. Being social is valuing positive human interaction and emotions. Socials are "consumers" of positive human interaction and emotions, ready to give material rewards for it. Has no social skills Outcast/depressed/"loser" Autist/Asperger/"geek"
I'm fully aware how much power social skills give over the socials. The whole blog is about informing people about how they can be manipulated by others abusing their sociality. These abusers are usually morons and slackers who beg for help. Psychopathic manipulators are less common, but more dangerous. You can avoid both if you act by rational self-interest instead of "for fun" or "for Karma" or "feeling good". I probably had more influence in the game if I'd be a manipulator like The Mittani. But I gladly trade that for influencing people in real life to notice where being social leads. If only a few percent of the people who did the almost seven million visits on this blog recognized that they don't need to respond to the whining of the M&S and "playing for fun" means "being a scrub", I'm more than happy with my results. These results are permanent. Someone liberated from sociality will never ever be the tool of manipulators or the host of leeching M&S. The Mittani on the other hand must constantly upkeep his manipulation. As soon as he stop banging the drums, his social minions stop fighting and return to their natural state: ape-grooming, losing the regions he made them gain. PS: Lemmings is a wonderful place where solo PvP is still alive. Look at this prime example of pilot skill prevailing in cut-throat 1v1 combat. Less expensive kill, but I was told PvP is not about ISK. We have to give kudos to this Goon servant who came to highsec to do solo PvP. His skills were so high that Marmite had to blob him. Since being asocial is so good for you then why do you need social people? Compare your social lemmings to another of your projects where you wanted to recruit asocial robots - ganking. If it's so good then why all your endeavors so far have failed, while those you diminish are enjoying themselves? You rationale looks like an attempt to convince yourself, not us. Why do I need a hammer instead of punching the nail in the wall with my asocial hand? Why would you want to manipulate something you don't value? If it allows you to get/preserve something you value, then you get/preserve (therefore value) whatever gets you to it by proxy. A person who wants to get something out of people through social interaction needs to value said interaction - at the very least as a tool to an end. ... are we operating under different concepts of "value"? So just to be clear, you are saying that we should all aspire to be Ted Bundy? I think I'll stick to being social myself. I get to enjoy my life, still be space rich and real life rich enough for my needs ad I don't need to spend 99% of my time spitting venom at everyone around me. @Maxim: I'm referring to social interactions being tools that are valued by only their result, without inherent value. @Lucas: no, Ted ended up executed due to being a serial killer. He serves as a warning here, a post is saying "people with high social skills and lot of friends or influence are usually not social at all, just using socials"
that's the brief on the study from the Max Planck Institute for Human Cognitive and Brain Sciences in Leipzig, in collaboration with the Charité University Hospital and the Bernstein Center for Computational Neuroscience in Berlin. The publishing scientists are Chun Siong Soon, Marcel Brass, Hans-Jochen Heinze & John-Dylan Haynes, and the full report was published in Nature Neuroscience, April 13th, 2008. "no, Ted ended up executed due to being a serial killer. He serves as a warning here, a post is saying "people with high social skills and lot of friends or influence are usually not social at all, just using socials""
You say "usually", but then Ted isn't a typical example. You are always going to get people that lie, cheat and play the systems, social or asocial. That doesn't suddenly make being social a bad thing, and certainly doesn't negate the fact that being social is what has allowed society to progress and allows us to enjoy the fruits of collaboration, such as your ability to publish a blog to a wide audience with very little personal effort. You can do that because of all the people that worked together to make the systems you use. Do you not feel that perhaps you are a bit clouded by your own views? Because you are asocial you deem that to be the best way, and you will cherry pick examples to back that. He serves as a warning here, a post is saying "people with high social skills and lot of friends or influence are usually not social at all, just using socials"
Ok prove it. You have found an outlier in Ted Bundy. A serial killer and psychopath. You need much much more data to make a statement that people like this are in the main using socials. I also don't think you have articulated in any meaningful way your difference between social and socially skilled. Most of us would deem the two to be the same and would suggest that your pigeonholing of people into groups which fit your own argument is being intellectually dishonest. Anyway. Please back up your statement. Please show proof that those with friends and great "social skills" are usually using people. It seems like you are saying charisma is a trait that asocials have when they use social methods to manipulate people, but as yet you've only provided Ted Bundy as your proof. We require more. OK I update the post to make it very clear. I see your update, i see what you are getting at - but it still doesn't address your position that you state people usually are manipulators if they are nice. You also are operating entirely on your own theory - most people wouldn't conflate "socials" with "social skills". The species is a social species. There are abnormal outliers such as aspergers/autists and the like, but in the main (the vast majority) humans are social. You then of course have some people who are more versed in the social nuances than others. These are charismatic people, but they are still generally social people. It's a spectrum. It isn't black and white. There are shades of grey. The fact that you can't even see that, that you think you can just bucket people into your own arbitrary groupings to support your own argument is what we're all railing against here. You are not wrong, you are not even wrong. You are making the wrong argument - you are making a non argument. You are ignoring very smart people in your comment threads who are providing citations to scientific research which refutes your position...and yet you continue stating it as if it is fact. It is your opinion. Not fact. And as is the case with most of your opinions, your opinion is on very shaky ground when any scrutiny is applied. I don't question that most people fit into the social/has social skills group. Most "nice" people are indeed innocently nice socials. Look at your workplace. Your boss, supervisor or the guy running a team has to use his social skills to make people do what he wants, but in 99% of the cases has no interest on being your friend. Actually he shouldn't be your friend because that would stop him from seeing his subordinates (you included) as tools. You guys sound like you haven't worked a day in your life. I hear all the time from colleagues about how person X is a terrible professional and an hour later I'd see them chatting up individual X like they're best buds. All the freaking time. Arrendis: you have been overinferring from this study in an unrigorous way that its authors would never have indulged themselves. First, as pointed out, the act of pressing buttons is a very low-level activity. No input processing took place. It is entirely possible that a threshold exists beneath which simple decisions like these need not meaningfully enter awareness at all. See Heekeren's research at the same institution. Second, the delay in awareness does not necessarily mean a delay in rational processing. When the conscious brain 'rationalises' the decision post-hoc, it may well be retracing a rational calculation that actually occurred and translating it to the language and imagery of consciousness. I hesitate to recommend Malcolm Gladwell for obvious reasons, but his Blink does a good job of summarising how researchers believe this might happen. Third, and more generally, the fMRI fashion in neuroscience, wherein things are concluded because areas light up on the scan, occasionally gets out of hand. Popular reporting of these studies inevitably gets out of hand. See, e.g: Brainwashed, by Satel and Lilienfeld, and the many neurosceptical blogs out there. So no, we're not yet demonstrably fractal-termites. As much resonance as that might have with the Goon view of the world. When I younger they called it "turning on the charm" it's when you smile (no matter how bad your feet are killing) it's when you answer "I am doing great" (though the only thing you feel is a massive headache. It's open the door for the old person (though your thoughts are "come on hurry the hell up I got to be someplace") It's showing empathy in a chat with a corp mate going through a tough time (when really you just want to to kill something). It's laughing at a joke cause everyone else is laughing (even if you don't get it or don't think its funny). It's your mask we all have them the losers don't have very many (maybe 2 or 3) the leaders have dozens if not more. "what does this person socially need from me, and how can I use it". The difference between a social person and power hunger person show no difference in public nor in how they interaact with people initially. The difference is the power person is using their skills to push themselves along, being nice just long enough to get what they want. I think i can accept that. However, the claim that our unconscious decision is somehow not free or not rational still seems to me like pure conjecture. Also there seems to be an implicit claim that conscious process is completely subservient in all of this, that is does not feed back into unconscious processes and change them. That claim is simply false. What i know of psychological practice is that every unconscious decision that a human being makes is still fully rational in terms of being aimed at a certain goal - and usually successful at attaining said goal, even if the goal itself is some manner of self-destruction. Also what i know of psychological practice is that conscious decisions to change can and have been made by humans. And then successfully implemented afterwards. So the notion that unconscious -> conscious is a one-way street with no place for rationality or freedom i find completely false. This all relates to Gevlon's topics in the way that social interaction is largely unconscious and therefore may appear irrational and unfree - until you apply some conscious thought to it and change yourself to place more value on actual results than social interaction itself. Where i disagree with Gevlon is his claim that social interaction has no inherent value and is contained to being just a mean to an end. I find social interaction to be a little bit more complex - both in terms of results and in terms of feedback to the user - than hammering in a nail. And i find some inherent value in that complexity. > The difference between a social person and power hunger person show no difference in public nor in how they interaact with people initially. Once upon a time I had a roommate who was completely crazy over "The 48 Laws of Power" (and NLP). He kept telling me to read that book and kept analyzing my everyday actions in a way that made me look like Macchiavelli redivivus. Eventually I was flattered and confused enough to actually read the book - and Greene really teaches to suspect the most cunning & devious sociopath in any helpful person. Nvm that the vast majority of nice persons are nothing more than nice persons, in Greene's world there are incompetent manipulators, master sociopaths and nobody else. The less manipulative you look, the less self-interested you appear, the more dangerous you are expected to be. Any attempt to convince a disciple of Greene otherwise will only confirm his worst fears. I guess Gevlon would like that book. Gevlon, a question for you. If reason is the means of human knowledge, it is therefore each person's most fundamental means of survival and is necessary to the achievement of values. The use or threat of force neutralizes the practical effect of an individual's reason, whether the force originates from the state or from a criminal. "man's mind will not function at the point of a gun." Therefore, the only type of organized human behavior consistent with the operation of reason is that of voluntary cooperation. Persuasion is the method of reason. By its nature, the overtly irrational [aka Bundy] cannot rely on the use of persuasion and must ultimately resort to force to prevail. Thus, reason and freedom would be correlates, just as mysticism and force might be corollaries. Based on this understanding of the role of reason, an anti-social should (would you not agree?) hold that the initiation of physical force against the will of another is immoral [actions of ER1 etc. ], as are indirect initiations of force through threats, and fraud [what you seem to accuse the Mittani, and all other similar social manipulators of]. @Anonymous: I disagree with Rand here, because the mindless one cannot be reasoned with. You don't reason with a pig, you slay it for its meat. You should always attempt to reason, but if that fails, you can and often should use force. Actually, in Atlas Shrugged Rand proposed an ideal solution as just that - all "effective" people band together to form an utopia and just leave all the others to kill themselves in their incompetence. So when you say "I disagree with Rand because i feel those that can't be reasoned with need to be butchered like pigs", i don't feel you are disagreeing with Rand at all. It needs to be said that both of you are wrong, though. I guess the idea here is to become at least an aware or awakened Social: Someone who makes an informed choice to boost someone, fly a bombless bomber tonight or just enjoys some idle chatter after a long, hard day. Nothing wrong with being one when you understand the (possible) consequences. I believe it is the Social without Clue that Gevlon is all hot and raving about. Maybe time to introduce this subtle sub-category, Gevlon.